A nuclear weapon is an explosive device that derives its destructive force from nuclear reactions, either fission or from a combination of fission and fusion reactions. Both bomb types release large quantities of energy from relatively small amounts of matter. The first test of a fission ("atomic") bomb released an amount of energy approximately equal to 20,000 tons of TNT (84 TJ). The first thermonuclear ("hydrogen") bomb test released energy approximately equal to 10 million tons of TNT (42 PJ). A thermonuclear weapon weighing little more than 2,400 pounds (1,100 kg) can release energy equal to more than 1.2 million tons of TNT (5.0 PJ). A nuclear device no larger than traditional bombs can devastate an entire city by blast, fire, and radiation. Since they are weapons of mass destruction, the proliferation of nuclear weapons is a focus of international relations policy. Conventional warfare is a form of warfare conducted by using conventional weapons and battlefield tactics between two or more states in open confrontation. The forces on each side are well-defined, and fight using weapons that primarily target the opponent's military. It is normally fought using conventional weapons, and not with chemical, biological, or nuclear weapons. Radiological warfare is any form of warfare involving deliberate radiation poisoning or contamination of an area with radiological sources. War is a state of armed conflict between states, governments, societies and informal paramilitary groups, such as mercenaries, insurgents and militias. It is generally characterized by extreme violence, aggression, destruction, and mortality, using regular or irregular military forces. Warfare refers to the common activities and characteristics of types of war, or of wars in general. 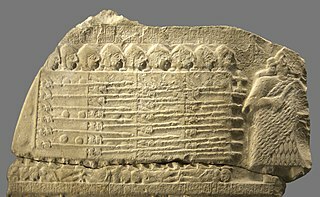 Total war is warfare that is not restricted to purely legitimate military targets, and can result in massive civilian or other non-combatant suffering and casualties. The Soviet atomic bomb project was the classified research and development program that was authorized by Joseph Stalin in the Soviet Union to develop nuclear weapons during World War II. 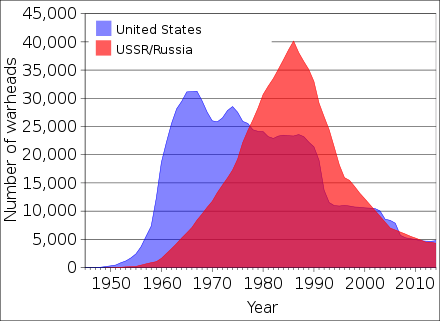 After the collapse of the Soviet Union in 1991 and the resultant end of the Cold War, the threat of a major nuclear war between the two nuclear superpowers was generally thought to have declined  . Since then, concern over nuclear weapons has shifted to the prevention of localized nuclear conflicts resulting from nuclear proliferation, and the threat of nuclear terrorism. Nuclear proliferation is the spread of nuclear weapons, fissionable material, and weapons-applicable nuclear technology and information to nations not recognized as "Nuclear Weapon States" by the Treaty on the Non-Proliferation of Nuclear Weapons (NPT), commonly known as the Non-Proliferation Treaty or NPT. Proliferation has been opposed by many nations with and without nuclear weapons, as governments fear that more countries with nuclear weapons will increase the possibility of nuclear warfare, de-stabilize international or regional relations, or infringe upon the national sovereignty of states. In nuclear strategy, a first strike is a preemptive surprise attack employing overwhelming force. First strike capability is a country's ability to defeat another nuclear power by destroying its arsenal to the point where the attacking country can survive the weakened retaliation while the opposing side is left unable to continue war. The preferred methodology is to attack the opponent's strategic nuclear weapon facilities, command and control sites, and storage depots first. The strategy is called counterforce. Some Cold War strategists such as Henry Kissinger  argued that a limited nuclear war could be possible between two heavily armed superpowers (such as the United States and the Soviet Union). Some predict, however, that a limited war could potentially "escalate" into a full-scale nuclear war. Others[ who? ] have called limited nuclear war "global nuclear holocaust in slow motion", arguing that—once such a war took place—others would be sure to follow over a period of decades, effectively rendering the planet uninhabitable in the same way that a "full-scale nuclear war" between superpowers would, only taking a much longer (and arguably more agonizing) path to the same result. 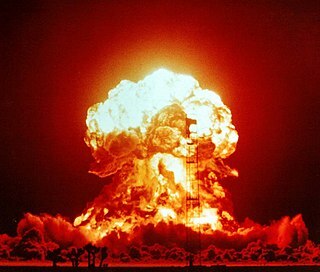 Either a limited or full-scale nuclear exchange could occur during an accidental nuclear war, in which the use of nuclear weapons is triggered unintentionally. Postulated triggers for this scenario have included malfunctioning early warning devices and/or targeting computers, deliberate malfeasance by rogue military commanders, consequences of an accidental straying of warplanes into enemy airspace, reactions to unannounced missile tests during tense diplomatic periods, reactions to military exercises, mistranslated or miscommunicated messages, and others. A number of these scenarios actually occurred during the Cold War, though none resulted in the use of nuclear weapons. 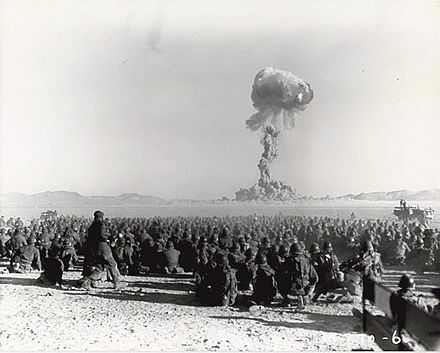 Many such scenarios have been depicted in popular culture, such as in the 1959 film On the Beach , the 1962 novel Fail-Safe (released as a film in 1964); the film Dr. Strangelove or: How I Learned to Stop Worrying and Love the Bomb , also released in 1964; the film WarGames , released in 1983. For six months before the atomic bombings, the U.S. 20th Air Force under General Curtis LeMay executed low-level incendiary raids against Japanese cities. The worst air raid to occur during the process was not the nuclear attacks, but the Operation Meetinghouse raid on Tokyo. 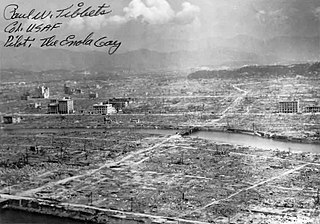 On the night of March 9–10, 1945, Operation Meetinghouse commenced and 334 Boeing B-29 Superfortress bombers took off to raid, with 279 of them dropping 1,665 tons of incendiaries and explosives on Tokyo. The bombing was meant to burn wooden buildings and indeed the bombing caused fire that created a 50 m/s wind, which is comparable to tornadoes. Each bomber carried 6 tons of bombs. A total of 381,300 bombs, which amount to 1,783 tons of bombs, were used in the bombing. Within a few hours of the raid, it had killed an estimated 100,000 people and destroyed 41 km2 (16 sq mi) of the city and 267,000 buildings in a single night — the deadliest bombing raid in military aviation history other than the atomic raids on Hiroshima and Nagasaki. By early August 1945, an estimated 450,000 people had died as the U.S. had intensely firebombed a total of 67 Japanese cities. We knew the world would not be the same. A few people laughed, a few people cried, most people were silent. I remembered the line from the Hindu scripture the Bhagavad Gita . Vishnu is trying to persuade the prince that he should do his duty and to impress him takes on his multiarmed form and says, "Now, I am become Death, the destroyer of worlds." I suppose we all thought that one way or another. On August 29, 1949, the Soviet Union tested its first nuclear weapon at Semipalatinsk in Kazakhstan (see also Soviet atomic bomb project). Scientists in the United States from the Manhattan Project had warned that, in time, the Soviet Union would certainly develop nuclear capabilities of its own. Nevertheless, the effect upon military thinking and planning in the United States was dramatic, primarily because American military strategists had not anticipated the Soviets would "catch up" so soon. However, at this time, they had not discovered that the Soviets had conducted significant nuclear espionage of the project from spies at Los Alamos, the most significant of which was done by the theoretical physicist Klaus Fuchs. 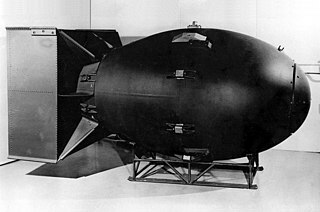 [ citation needed ] The first Soviet bomb was more or less a deliberate copy of the Fat Man plutonium device. In the same year the first US-Soviet nuclear war plan was penned in the US with Operation Dropshot. Soviet nuclear doctrine, however, did not match American nuclear doctrine. Soviet military planners assumed they could win a nuclear war. Therefore, they expected a large-scale nuclear exchange, followed by a "conventional war" which itself would involve heavy use of tactical nuclear weapons. American doctrine rather assumed that Soviet doctrine was similar, with the mutual in Mutually Assured Destruction necessarily requiring that the other side see things in much the same way, rather than believing—as the Soviets did—that they could fight a large-scale, "combined nuclear and conventional" war. 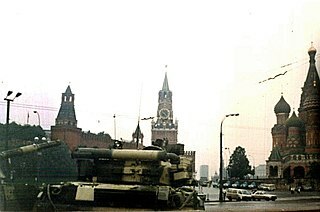 In accordance with their doctrine, the Soviet Union conducted large-scale military exercises to explore the possibility of defensive and offensive warfare during a nuclear war. The exercise, under the code name of "Snowball", involved the detonation of a nuclear bomb about twice as powerful as that which fell on Nagasaki and an army of approximately 45,000 soldiers on maneuvers through the hypocenter immediately after the blast. The exercise was conducted on September 14, 1954, under command of Marshal Georgy Zhukov to the north of Totskoye village in Orenburg Oblast, Russia. Similar incidents happened many times in the United States, due to failed computer chips,  misidentifications of large flights of geese, test programs, and bureaucratic failures to notify early warning military personnel of legitimate launches of test or weather missiles. For many years, the U.S. Air Force's strategic bombers were kept airborne on a daily rotating basis "around the clock" (see Operation Chrome Dome), until the number and severity of accidents, the 1968 Thule Air Base B-52 crash in particular, persuaded policymakers it was not worthwhile. 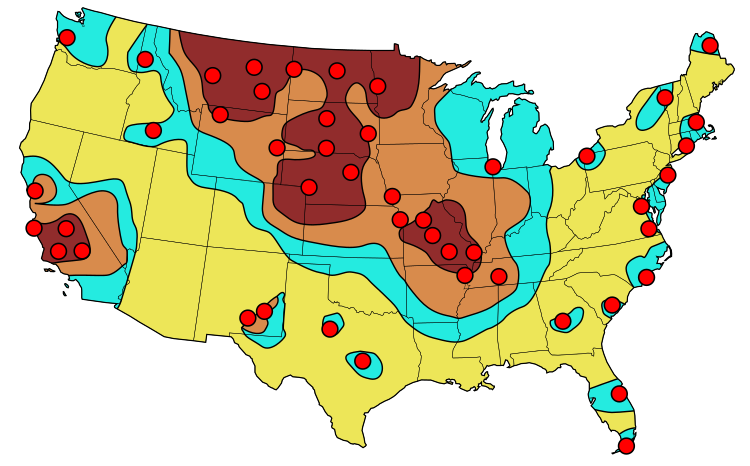 FEMA-estimated primary counterforce targets for Soviet ICBMs in 1990. The resulting fall-out is indicated with the darkest considered as lethal to lesser fall-out yellow zones. However, it was soon realized that submarines could approach enemy coastlines undetected and decrease the warning time (the time between detection of the missile launch and the impact of the missile) from as much as half an hour to possibly under three minutes. This effect was especially significant to the United States, Britain and China, whose capitals all lay within 100 miles (160 km) of their coasts. Moscow was much more secure from this type of threat, due to its considerable distance from the sea. This greatly increased the credibility of a "surprise first strike" by one faction and (theoretically) made it possible to knock out or disrupt the chain of command of a target nation before any counterstrike could be ordered (known as a "decapitation strike"). It strengthened the notion that a nuclear war could possibly be "won", resulting not only in greatly increased tensions and increasing calls for fail-deadly control systems, but also in a dramatic increase in military spending. The submarines and their missile systems were very expensive, and one fully equipped nuclear-powered and nuclear-armed missile submarine could cost more than the entire GNP of a developing country. It was also calculated, however, that the greatest cost came in the development of both sea- and land-based anti-submarine defenses and in improving and strengthening the "chain of command", and as a result, military spending skyrocketed. A key development in nuclear warfare throughout the 2000s and early 2010s is the proliferation of nuclear weapons to the developing world, with India and Pakistan both publicly testing several nuclear devices, and North Korea conducting an underground nuclear test on October 9, 2006. The U.S. Geological Survey measured a 4.2 magnitude earthquake in the area where the North Korean test is said to have occurred. A further test was announced by the North Korean government on May 25, 2009. Iran, meanwhile, has embarked on a nuclear program which, while officially for civilian purposes, has come under close scrutiny by the United Nations and many individual states. Recent studies undertaken by the CIA cite the enduring India-Pakistan conflict as the one "flash point" most likely to escalate into a nuclear war. During the Kargil War in 1999, Pakistan came close to using its nuclear weapons in case the conventional military situation underwent further deterioration. Pakistan's foreign minister had even warned that it would "use any weapon in our arsenal", hinting at a nuclear strike against India. The statement was condemned by the international community, with Pakistan denying it later on. This conflict remains the only war (of any sort) between two declared nuclear powers. The 2001-2002 India-Pakistan standoff again stoked fears of nuclear war between the two countries. Despite these very serious and relatively recent threats, relations between India and Pakistan have been improving somewhat over the last few years. However, with the November 26, 2008 Mumbai terror attacks, tensions again worsened. Israel is thought to possess somewhere between one hundred and four hundred nuclear warheads. It has been asserted that the Dolphin-class submarines which Israel received from Germany have been adapted to carry Popeye cruise missiles with nuclear warheads, so as to give Israel a second strike capability. Israel has been involved in wars with its neighbors in the Middle East (and with other "non-state actors") on numerous prior occasions, and its small geographic size and population could mean that, in the event of future wars, the Israeli military might have very little time to react to an invasion or other major threat. Such a situation could escalate to nuclear warfare very quickly in some scenarios. "Sub-strategic use" includes the use of either "low-yield" tactical nuclear weapons, or of variable yield strategic nuclear weapons in a very limited role, as compared to battlefield exchanges of larger-yield strategic nuclear weapons. This was described by the UK Parliamentary Defence Select Committee as "the launch of one or a limited number of missiles against an adversary as a means of conveying a political message, warning or demonstration of resolve". It is believed that all current nuclear weapons states possess tactical nuclear weapons, with the exception of the United Kingdom, which decommissioned its tactical warheads in 1998. However, the UK does possess scalable-yield strategic warheads, and this technology tends to blur the difference between "strategic", "sub-strategic", and "tactical" use or weapons. American, French and British nuclear submarines are believed to carry at least some missiles with dial-a-yield warheads for this purpose, potentially allowing a strike as low as one kiloton (or less) against a single target. Only the People's Republic of China and the Republic of India have declarative, unqualified, unconditional "no first use" nuclear weapons policies. India and Pakistan maintain only a credible minimum deterrence. In many ways, this present change in the balance of terror can be seen as the complete embracement of the switch from the 1950s Eisenhower doctrine of "massive retaliation"  to one of "flexible response", which has been growing in importance in the US nuclear war fighting plan/SIOP every decade since. Another dimension to the tactical use of nuclear weapons is that of such weapons deployed at sea for use against surface and submarine vessels. Until 1992, vessels of the United States Navy (and their aircraft) deployed various such weapons as bombs, rockets (guided and unguided), torpedoes, and depth charges. Such tactical naval nuclear weapons were considered more acceptable to use early in a conflict because there would be few civilian casualties. It was feared by many planners that such use would probably quickly have escalated into large-scale nuclear war. This situation was particularly exacerbated by the fact that such weapons at sea were not constrained by the safeguards provided by the Permissive Action Link attached to U.S. Air Force and Army nuclear weapons. It is unknown if the navies of the other nuclear powers yet today deploy tactical nuclear weapons at sea. 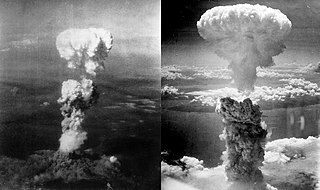 Wikimedia Commons has media related to Nuclear warfare . The Anti-Ballistic Missile Treaty (1972—2002) was an arms control treaty between the United States and the Soviet Union on the limitation of the anti-ballistic missile (ABM) systems used in defending areas against ballistic missile-delivered nuclear weapons. 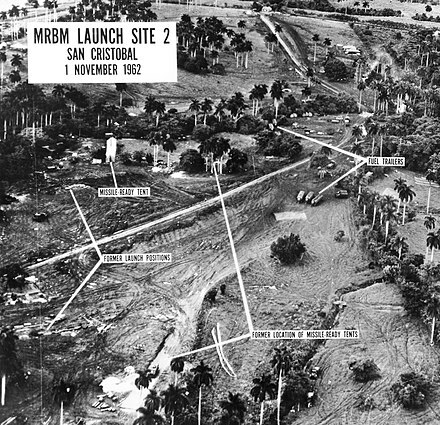 Under the terms of the treaty, each party was limited to two ABM complexes, each of which was to be limited to 100 anti-ballistic missiles. A neutron bomb, officially defined as a type of enhanced radiation weapon (ERW), is a low yield thermonuclear weapon designed to maximize lethal neutron radiation in the immediate vicinity of the blast while minimizing the physical power of the blast itself. The neutron release generated by a nuclear fusion reaction is intentionally allowed to escape the weapon, rather than being absorbed by its other components. The neutron burst, which is used as the primary destructive action of the warhead, is able to penetrate enemy armor more effectively than a conventional warhead, thus making it more lethal as a tactical weapon. Mutual assured destruction or mutually assured destruction (MAD) is a doctrine of military strategy and national security policy in which a full-scale use of nuclear weapons by two or more opposing sides would cause the complete annihilation of both the attacker and the defender. It is based on the theory of deterrence, which holds that the threat of using strong weapons against the enemy prevents the enemy's use of those same weapons. The strategy is a form of Nash equilibrium in which, once armed, neither side has any incentive to initiate a conflict or to disarm. Nuclear weapons possess enormous destructive power from nuclear fission or combined fission and fusion reactions. Building on scientific breakthroughs made during the 1930s, the United States, the United Kingdom and Canada collaborated during World War II, in what was called the Manhattan Project, to counter the suspected Nazi German atomic bomb project. 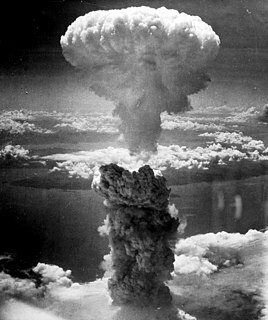 In August 1945, two fission bombs were dropped on Japan, standing to date as the only use of nuclear weapons in combat. The Soviet Union started development shortly thereafter with their own atomic bomb project, and not long after that both countries developed even more powerful fusion weapons known as "hydrogen bombs". The nuclear arms race was an arms race competition for supremacy in nuclear warfare between the United States, the Soviet Union, and their respective allies during the Cold War. During this period, in addition to the American and Soviet nuclear stockpiles, other countries developed nuclear weapons, though none engaged in warhead production on nearly the same scale as the two superpowers. According to the Federation of American Scientists, an organization that assesses nuclear weapon stockpiles, as of 2018, the Russian Federation possesses 7,850 total nuclear warheads, of which 1,600 are strategically operational. This is in large part due to the special bomber counting rules allowed by the New START treaty, which counts each strategic nuclear bomber as one warhead irrespective of the number of warheads—gravity bombs and/or cruise missiles carried by the aircraft. The figures are, by necessity, only estimates because "the exact number of nuclear weapons in each country's possession is a closely held national secret." In addition to nuclear weapons, Russia declared an arsenal of 39,967 tons of chemical weapons in 1997. The Soviet Union ratified the Geneva Protocol on April 5, 1928 with reservations. The reservations were dropped on January 18, 2001. Russia is also party to the Biological Weapons Convention and the Chemical Weapons Convention. The Soviet Union had a peak stockpile of 45,000 nuclear warheads in 1986. It is estimated that from 1949 to 1991 the Soviet Union produced approximately 55,000 nuclear warheads. The People's Republic of China has developed and possesses weapons of mass destruction, including chemical and nuclear weapons. The first of China's nuclear weapons tests took place in 1964, and its first hydrogen bomb test occurred in 1967. Tests continued until 1996, when China signed the Comprehensive Test Ban Treaty (CTBT). China has acceded to the Biological and Toxin Weapons Convention (BWC) in 1984 and ratified the Chemical Weapons Convention (CWC) in 1997. The Single Integrated Operational Plan (SIOP) was the United States' general plan for nuclear war from 1961 to 2003. The SIOP gave the President of the United States a range of targeting options, and described launch procedures and target sets against which nuclear weapons would be launched. The plan integrated the capabilities of the nuclear triad of strategic bombers, land-based intercontinental ballistic missiles (ICBM), and sea-based submarine-launched ballistic missiles (SLBM). The SIOP was a highly classified document, and was one of the most secret and sensitive issues in U.S. national security policy. The United States was the first country to manufacture nuclear weapons and is the only country to have used them in combat, with the separate bombings of Hiroshima and Nagasaki in World War II. Before and during the Cold War, it conducted over a thousand nuclear tests and tested many long-range nuclear weapons delivery systems. 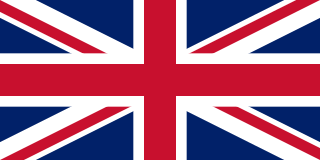 The United Kingdom was the third country to develop and test nuclear weapons, and is one of the five nuclear-weapon states under the Treaty on the Non-Proliferation of Nuclear Weapons. The possession of nuclear weapons is an important component of Britain's national identity. Nuclear weapons delivery is the technology and systems used to place a nuclear weapon at the position of detonation, on or near its target. Several methods have been developed to carry out this task. A tactical nuclear weapon (TNW) or non-strategic nuclear weapon is a nuclear weapon which is designed to be used on a battlefield in military situations mostly with friendly forces in proximity and perhaps even on contested friendly territory. Generally smaller in explosive power, they are defined in contrast to strategic nuclear weapons: which are designed to be mostly targeted in the enemy interior away from the war front against military bases, cities, towns, arms industries, and other hardened or larger-area targets to damage the enemy's ability to wage war. A nuclear triad is a three-pronged military force structure that consists of land-launched nuclear missiles, nuclear-missile-armed submarines and strategic aircraft with nuclear bombs and missiles. Specifically, these components are land-based intercontinental ballistic missiles (ICBMs), submarine-launched ballistic missiles (SLBMs), and strategic bombers. The purpose of having this three-branched nuclear capability is to significantly reduce the possibility that an enemy could destroy all of a nation's nuclear forces in a first-strike attack. This, in turn, ensures a credible threat of a second strike, and thus increases a nation's nuclear deterrence. The main theory of creating the nuclear triad was to spread the assortment of weapons across various platforms, making military forces more likely to survive an attack and able to respond to a first strike successfully. 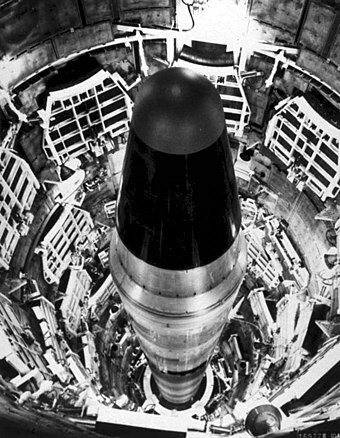 The military strategy of distributing weapons over the three platforms developed as an answer to countries' concerns when surviving a nuclear strike. This would ensure that nuclear forces could survive a first strike and be deployed in a retaliatory strike, resulting in "mutual assured destruction." 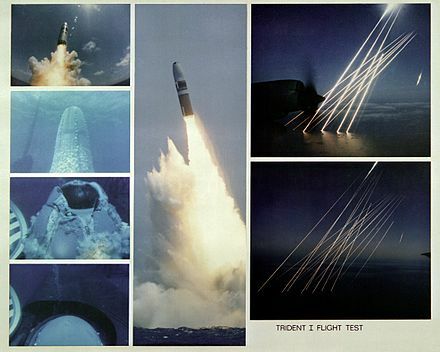 A strategic nuclear weapon refers to a nuclear weapon which is designed to be used on targets often in settled territory far from the battlefield as part of a strategic plan, such as military bases, military command centers, arms industries, transportation, economic, and energy infrastructure, and heavily populated areas such as cities and towns, which often contain such targets. It is in contrast to a tactical nuclear weapon, which is designed for use in battle, as part of an attack with and often in close proximity to friendly conventional forces possibly on contested friendly territory. This timeline of nuclear weapons development is a chronological catalog of the evolution of nuclear weapons rooting from the development of the science surrounding nuclear fission and nuclear fusion. In addition to the scientific advancements, this timeline also includes several political events relating to the development of nuclear weapons. The availability of intelligence on recent advancements in nuclear weapons of several major countries is limited because of the classification of technical knowledge of nuclear weapons development. In nuclear strategy, a counterforce target is one that has a military value, such as a launch silo for intercontinental ballistic missiles, an airbase at which nuclear-armed bombers are stationed, a homeport for ballistic missile submarines, or a command and control installation. ↑ "7 Possible Toxic Environments Following a Nuclear War – The Medical Implications of Nuclear War 1985 – The National Academies Press". ↑ "nuclear winter". Encyclopædia Britannica. 1 2 Martin, Brian (December 1982). "The global health effects of nuclear war". Current Affairs Bulletin. 59 (7). 1 2 "The Effects of a Global Thermonuclear War". ↑ Long-term worldwide effects of multiple nuclear-weapons detonations. Assembly of Mathematical and Physical Sciences, National Research Council,1975. ↑ "Overview of the Doomsday Clock". Bulletin of the Atomic Scientists. ↑ Hersh, Seymour (1991). The Samson Option. Random House. p. 130. ISBN 0-394-57006-5. ↑ John Pike. "Nuclear Weapons Program". ↑ ""1945–1998" by Isao Hashimoto". ↑ "The Nuclear Testing Tally – Arms Control Association". ↑ N.N. Sokov (2015). Why Russia calls a limited nuclear strike "de-escalation". Bulletin of the Atomic Scientists. Retrieved 2015-12-28. ↑ Grover, Herbert D.; Harwell, Mark A. (1985-10-01). "Biological Effects of Nuclear War II: Impact on the Biosphere". BioScience. 35 (9): 576–583. doi:10.2307/1309966. ISSN 0006-3568. ↑ "Henry Kissinger: The Mike Wallace Interview". ↑ Alan F. Philips, 20 Mishaps That Might Have Started Accidental Nuclear War. ↑ "1945 Tokyo Firebombing Left Legacy of Terror, Pain". Common Dreams. ↑ "March 9, 1945: Burning the Heart Out of the Enemy". Wired. Condé Nast Digital. 9 March 2011. Retrieved June 8, 2014. ↑ "Firebombing of Tokyo". HISTORY.com. ↑ "Japan's Battle of Okinawa, March–June 1945". Command and General Staff College. Archived from the original on February 14, 2009. Retrieved 2016-12-13. ↑ Ways of Forgetting, Ways of Remembering: Japan in the Modern World. New Press. February 4, 2014. p. 273. 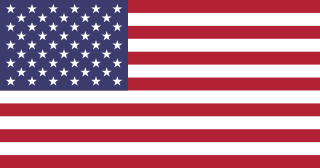 ↑ "United States Dept. of the Army, Army Battle Casualties and Non Battle Deaths in World War II". Cgsc.cdmhost.com. Retrieved 2011-06-15. ↑ "Potsdam Declaration: Proclamation Defining Terms for Japanese Surrender Issued, at Potsdam, July 26, 1945". National Science Digital Library. ↑ "Milestones: 1937–1945 / The Potsdam Conference, 1945". United States Department of State, Office of the Historian. Archived from the original on 2013-10-29. ↑ Newman, Robert P. (1995). Truman and the Hiroshima Cult. MSU Press. p. 86. ISBN 978-0-87013-940-6. ↑ "The Atomic Bomb and the End of World War II, A Collection of Primary Sources" (PDF). National Security Archive Electronic Briefing Book No. 162. George Washington University. August 13, 1945. ↑ Alan Axelrod (May 6, 2008). The Real History of World War II: A New Look at the Past. Sterling. p. 350. ↑ Nuke-Rebuke: Writers & Artists Against Nuclear Energy & Weapons (The Contemporary anthology series). The Spirit That Moves Us Press. May 1, 1984. pp. 22–29. ↑ Robert Hull (October 11, 2011). Welcome To Planet Earth – 2050 – Population Zero. AuthorHouse. p. 215. ISBN 1-4634-2604-6. ↑ Koizumi, Junichiro (August 6, 2005). "Address by Prime Minister Junichiro Koizumi at the Hiroshima Memorial Service for the Hiroshima Peace Memorial Ceremony". Prime Minister of Japan and His Cabinet. Retrieved Nov 28, 2007. ↑ Pontin, Jason (November–December 2007). "Oppenheimer's Ghost". Technology Review . ↑ "Instant Wisdom: Beyond the Little Red Book". TIME. September 20, 1976. ↑ "Nuclear Strategy differences in Soviet and American thinking". ↑ "Candid Interviews with Former Soviet Officials Reveal U.S. Strategic Intelligence Failure Over Decades". ↑ Viktor Suvorov, Shadow of Victory (Тень победы), Donetsk, 2003, ISBN 966-696-022-2, pages 353–375. ↑ "The Cost of Submarines". Fast Attacks and Boomers. Retrieved 2008-07-13. ↑ Stothers, Richard B. (1984). "The Great Tambora Eruption in 1815 and Its Aftermath". Science . 224 (4654): 1191–1198. Bibcode:1984Sci...224.1191S. doi:10.1126/science.224.4654.1191. PMID 17819476. ↑ "Supersized eruptions are all the rage!". USGS. April 28, 2005. ↑ Robock, A.; C.M. Ammann; L. Oman; D. Shindell; S. Levis; G. Stenchikov (2009). "Did the Toba volcanic eruption of ~74k BP produce widespread glaciation?". Journal of Geophysical Research . 114: D10107. Bibcode:2009JGRD..11410107R. doi:10.1029/2008JD011652. ↑ Huang, C.Y. ; Zhao, M.X. ; Wang, C.C. ; Wei, G.J. (2001). "Cooling of the South China Sea by the Toba Eruption and correlation with other climate proxies ∼71,000 years ago". Geophysical Research Letters. 28 (20): 3915–3918. Bibcode:2001GeoRL..28.3915H. doi:10.1029/2000GL006113. 1 2 "WINDOW ON HEARTLAND Geopolitical notes on Eastern Europe, the Caucasus and Central Asia". Archived from the original on April 24, 2013. 1 2 "Global Security.org Kosvinsky Mountain, Kos'vinskiy Kamen', Gora, MT 59°31'00"N 59°04'00"E". ↑ "Context of '(After 11:15 a.m.) September 11, 2001: Russian President Putin Speaks with President Bush'". ↑ Bhumitra Chakma (2004). Strategic Dynamics and Nuclear Weapons Proliferation in South Asia: A Historical Analysis. Peter Lang. p. 133. ISBN 978-3-03910-382-9. ↑ Zafar Khan (17 July 2014). Pakistan's Nuclear Policy: A Minimum Credible Deterrence. Routledge. p. 23. ISBN 978-1-317-67601-0. ↑ Jacques E. C. Hymans (16 February 2012). Achieving Nuclear Ambitions: Scientists, Politicians, and Proliferation. Cambridge University Press. p. 244. ISBN 978-0-521-76700-2. ↑ Shaun Gregory (23 October 2015). Democratic Transition and Security in Pakistan. Routledge. p. 250. ISBN 978-1-317-55011-2. ↑ "BBC NEWS – Asia-Pacific – N Korea faces new UN resolution". ↑ "Pakistan 'prepared nuclear strike'". BBC News. ↑ "Israel buys 2 nuclear-capable submarines from Germany". ↑ "North Korea threatens nuclear strike, U.N. expands sanctions". Reuters. 2013-03-07. Retrieved 2013-05-07. ↑ "North Korea urges foreigners to leave South Korea". CBC. 2013-04-09. Retrieved 2013-05-07. ↑ Meredith, Charlotte (2013-04-12). "North Korea states 'nuclear war is unavoidable' as it declares first target will be Japan". Express. Retrieved 2013-05-07. ↑ UK Parliament, House of Commons, "Select Committee on Defence, Eighth Report", , 20 June 2006. Fetched from URL on 23 December 2012. ↑ "House of Commons – Defence – Eighth Report – THE 1998 STRATEGIC DEFENCE REVIEW". ↑ Jones, Matthew (2008). "Targeting China: U.S. Nuclear Planning and 'Massive Retaliation' in East Asia, 1953–1955". Journal of Cold War Studies. 10 (4): 37–65. doi:10.1162/jcws.2008.10.4.37. ↑ "Declassified: Nuclear Weapons at Sea, Conclusions and Recommendations". Federation of American Scientists. Retrieved 2016-04-19. ↑ "2018 Nuclear Posture Review". US Defense Department. Retrieved 2018-06-26. ↑ US Nuclear Regulatory Commission (May 2007). "Backgrounder on Dirty Bombs" . Retrieved 2010-04-26. ↑ Bumstead, Pamela (December 6, 1985). NUCLEAR WINTER: THE ANTHROPOLOGY OF HUMAN SURVIVAL (PDF). 84th Annual Meeting of the American Anthropological Association. Washington, DC: American Anthropological Association. ↑ Kearny, Cresson H (1986). Nuclear War Survival Skills. Oak Ridge, TN: Oak Ridge National Laboratory. pp. 6–11. ISBN 0-942487-01-X. ↑ Glenn Harlan Reynolds. "The Unexpected Return of 'Duck and Cover'". The Atlantic. ↑ "Strategic National Stockpile (SNS)". ↑ "Nutrition in the postattack environment". ↑ Robinson, Martin; Bartlett, Ray; Whyte Rob (2007). Korea. Lonely Planet. p. 364. ISBN 978-1-74104-558-1. ↑ Springer, Chris (2003). Pyongyang: the hidden history of the North Korean capital. Entente Bt. p. 125. ISBN 978-963-00-8104-7. ↑ "Doomsday Preppers: It's Gonna Get Worse Tonight at 9P et/pt". Nat Geo TV Blogs. ↑ Ball, Deborah (2011-06-25). "Swiss Renew Push for Bomb Shelters". The Wall Street Journal. ↑ Foulkes, Imogen (2007-02-10). "Swiss still braced for nuclear war". BBC News. ↑ Waterman, Gideon; Kase, Kenneth; Orion, Itzhak; Broisman, Andrey; Milstein, Oren (2017-09). "Selective Shielding of Bone Marrow". Health Physics. 113 (3): 195–208. doi:10.1097/hp.0000000000000688. ISSN 0017-9078. Thomas Powers, "The Nuclear Worrier" (review of Daniel Ellsberg, The Doomsday Machine: Confessions of a Nuclear War Planner, New York, Bloomsbury, 2017, ISBN 9781608196708, 420 pp. ), The New York Review of Books , vol. LXV, no. 1 (18 January 2018), pp. 13–15.